The four beat weave, or crossed weave, is a key partner poi move and opens up countless new possibilities later on. 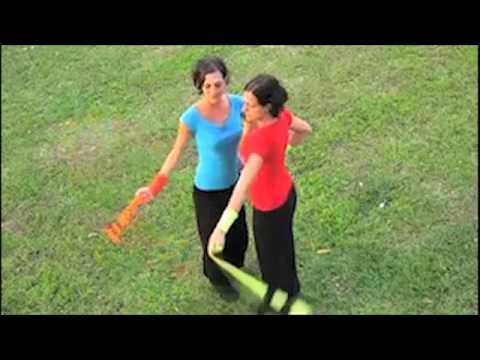 To start off, it is helpful if one of the two players spins the poi behind his or her back, thus making it possible for his or her partner to interlace. You need the move "REEL" for make it smooth.